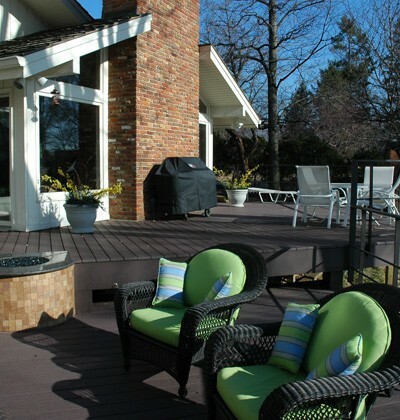 Are you thinking of adding a deck design to your home? 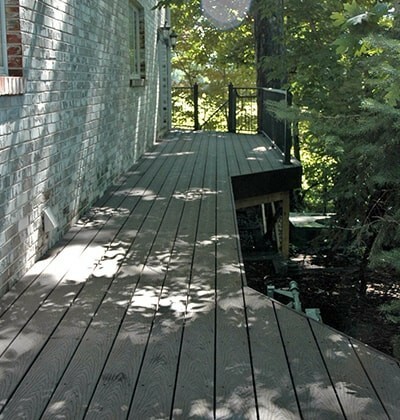 A wonderful deck design will complement the look of your home while allowing you to do all the things you have dreamt of doing on your deck: grilling with friends, relaxing with family, enjoying s’mores around a fire pit—you name it! At Suburban Landscaping, we want you to enjoy your outdoors. 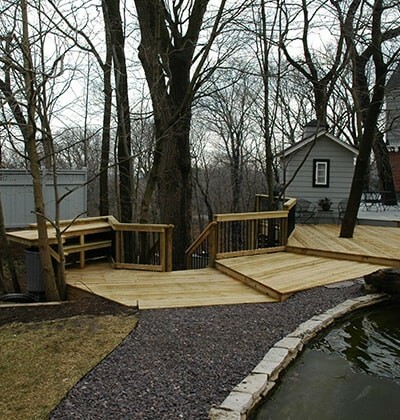 That is why we value providing our clients with visually stunning deck designs and installations for their Peoria area homes. 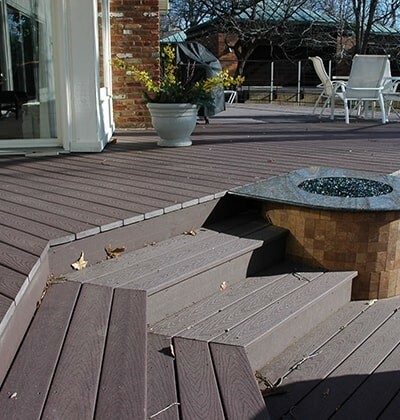 Your deck design should be unique and harmonize with the lay of the land. 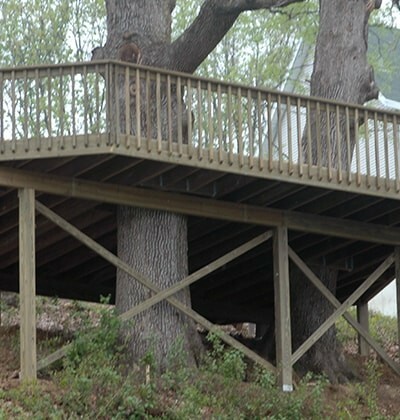 Allow the excellent designers at Sub-Urban Landscape Design to add visual interest to your outdoor space and increase the satisfaction you have in your home through impeccable deck design. 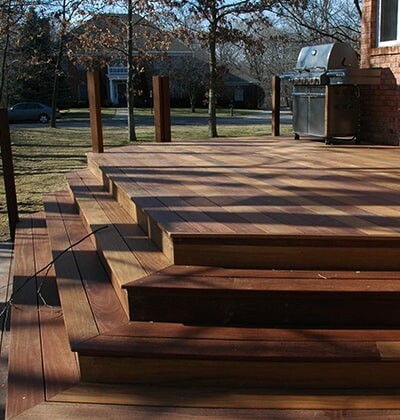 At Suburban Landscaping, we have crafted stunning deck designs for hundreds of homeowners across the Peoria area. 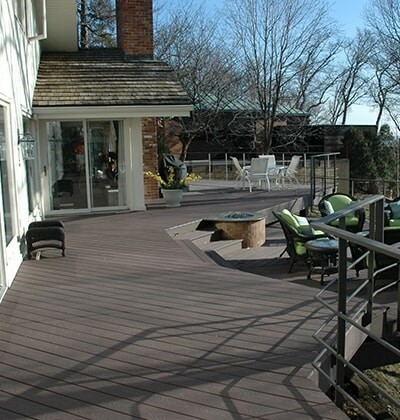 For 25 years, our striking deck designs have expressed both the wishes of our clients and a refined creativity. Not only do we value design, we also emphasize the importance of installation. 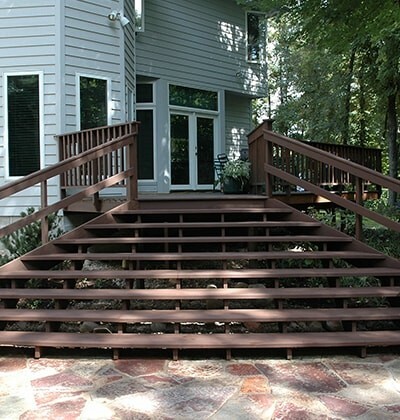 Our construction team strives to give each customer impeccable installation. When you choose Suburban Landscaping, you choose quality from conception to completion. Connect With Suburban Landscaping Now! 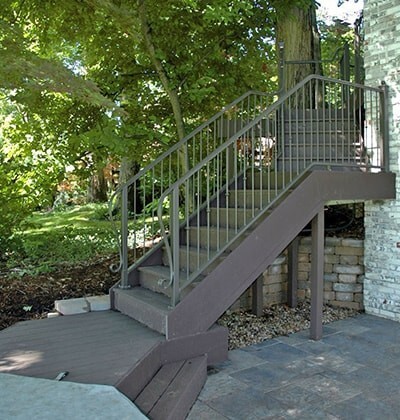 If you would like to see the outdoor space of your Peoria, IL area home transformed through the addition of an elegant deck or another beautiful wood element, choose Suburban Landscaping. To schedule an appointment for a consultation on your home, contact us online today or call 309-691-0735.